Adaptation will protect against some impact of climate change, writes Nancy Saili, 24, a Correspondent from Solwezi in Zambia, who explains how rich countries should lead adaptation efforts and help those less able to pay. Climate change is affecting all nations across the globe. It might be a little late to avoid some irreversible changes in the climate, but we cannot ignore adaptation strategies. We all must learn to manage the risks that have arisen as a result of shifts in climate. But what does adaption really mean? Adaptation generally means investing in basic infrastructure and programs to protect against the effects of climate change. Why, then, is adaptation different in different economies around the world? While rich countries adapt by providing their nations with early warning and defense systems, poor countries are left to face much more challenging problems as they lack the resources and finances to cope. When faced with a drought the poor may suffer hunger from crop losses, but rich places like California in the United States develop extensive systems of reservoirs and water transfer channels to maintain flows to dry areas. When floods hit, floodwaters and communities in Vietnam’s Mekong Delta have to depend on swimming lessons and life jackets for survival, while the UK is able to fund flood management and coastal erosion projects annually. Why should swimming be a sport in one country and a means of survival in another? UNICEF and the Ministry of Education in Mongu, Western Zambia are advocating for projects to construct floating schools that cannot be destroyed by floods. They are meant to help children who are forced to drop out of school until the waters subside because their families cannot afford to relocate to dry areas. However, such projects are still far from implementation due to lack of funds. Even if emissions come from the United States, the impacts can be felt as far as India. We are all affected by climate change: destructive earthquakes in Nepal; killer heat waves in India; deadly tornadoes in Texas; floods in China; landslides in Turkey; sandstorms, wildfires, drought. We may face the same risks but we are not equally vulnerable, because rich nations are able to predict disasters and can take quick action while poor nations remain unaware until disaster strikes and lives are lost. For example, the Netherlands can afford to allocate finances for flood protection to construct homes that can float on water, while women in India’s Ganges Delta have to resort to constructing elevated platforms using available bamboo for refuge when the monsoons come.The most vulnerable are the least contributors to the problems they face – and are already struggling to meet basic needs of survival, education and development. We are separated and are driving ourselves to adaptation segregation.We must prioritise the most vulnerable if we are to save humankind. The Human Development Report (HDR) estimated that a total investment of US$86 billion a year from developed countries is needed by 2015 in order for all countries to adequately adapt. The challenge is that the variance between pledged and disbursed funds is a huge one. According to the Adaptation Finance Accountability Initiative in Zambia, only 36 per cent of committed adaptation funds were disbursed by donors in the year 2012-2013. Poor nations make plans based on the promised funds, but plans are rarely successful. Not even half of the funds are provided. Rich nations should support poor countries through financing of clean energy projects if adaptation plans are to succeed. It is not easy for poor countries to make ambitious emission reductions. They are trying to balance reducing emissions while encouraging economic development. Instead of having effective adaptation projects such as irrigation schemes, defense systems, early-warning systems, and flood/drought control programs, only pollution-reducing projects can be adopted. The COP21 meeting in Paris aims to achieve a binding and universal agreement on climate, from and for all the nations of the world. Countries will submit plans for national commitment to climate action.These plans will affect economies, jobs, water, and food security. Poor nations should clearly identify and report their adaptation needs. Strong climate action plans from poor countries should attract financing, capacity building, technology transfer, and other international support from rich nations. In a summary by young people of the UNDP, a successful adaptation plan should include the four I’s: information for effective planning; infrastructure for climate-proofing; insurance for social risk management and poverty reduction; and instructions for disaster risk management. Countries can focus not only on adaptation, but where possible, also capture the potential for mitigation within planned and potential adaptation activities. 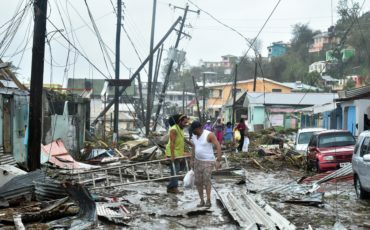 In order for this to be successful, rich nations need to lead developing nations in a way that will make them fully engage and be able to adequately adapt.If this is not effectively done, the coming years may spell out catastrophes, famines, poverty, and deaths for people around the world, especially in poor countries. About me: I am very passionate about the environment, human rights, young girls and women related issues. I am a writer and hope to teach creative writing in the future. I love art, photography and film and like to use them as tools to address various issues facing us all. I am currently a PEPFAR DREAMS ambassador, a youth voice at Global Dialogues Trust and a Climate Tracker/coordinator at the climate tracker Africa hub.